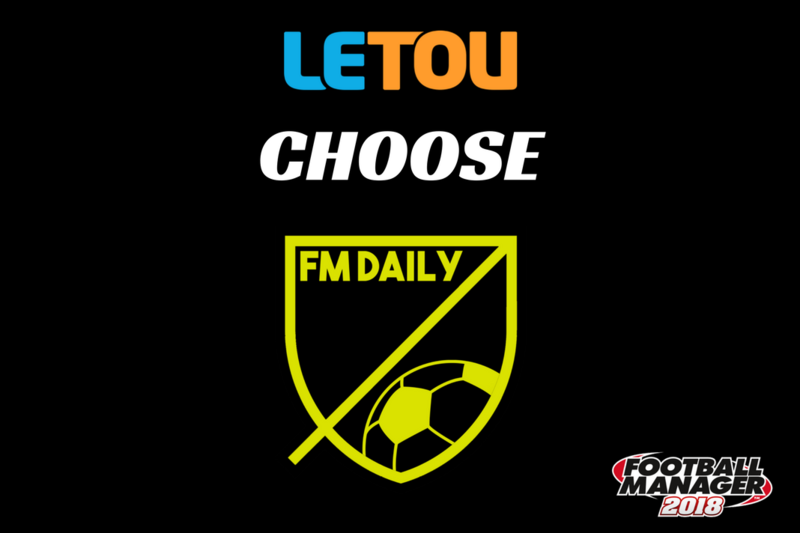 Last night over on Twitter @CharlieTangoFM, we provided live coverage of one of the most remarkable games in the entire Letou Choose season. Leicester came to the Liberty rock bottom, down in 20th place in the Premier League and desperately needing three points. They left with absolutely nothing. The statistics don’t tell the full story, in fact, nothing does it justice. Just five minutes into the game a corner from Roque Mesa landed at the feet of Renato Sanches and the best player in a Swansea City shirt this season laid the ball off for van der Hoorn to blast home. 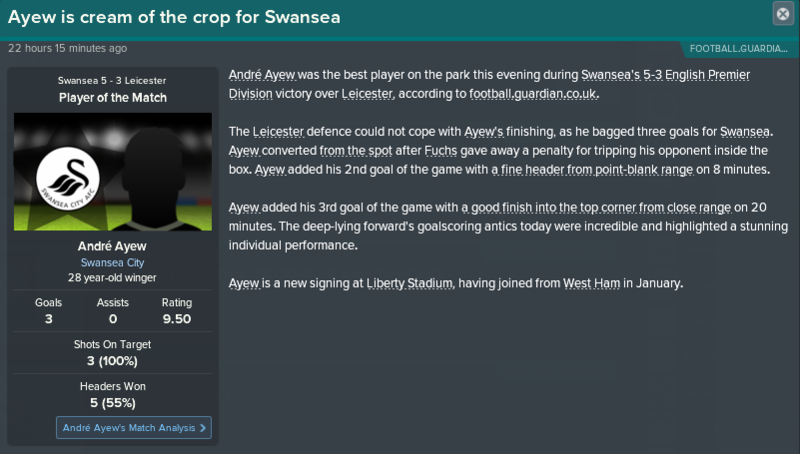 A minute later Jordan Ayew was brought down by Christian Fuchs in the penalty box and André Ayew tucked home the resulting penalty. With less than ten minutes on the clock, we were three to the good thanks to a second André Ayew goal. Three became four thanks to André earning the match ball for a hat-trick before brother Jordan contributed his customary goal on 32 minutes. 5 – 0 up and with 32 minutes on the clock. That’s the stuff of dreams a football manager. What happened afterwards did take the gloss off slightly with first Riyad Mahrez and then Lazar Markovic twice reducing the arrears. 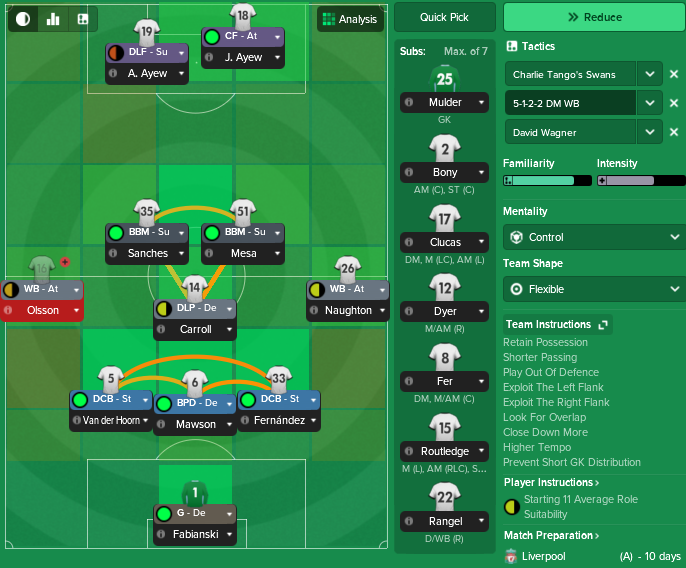 For one of the few occasions this season, I used a 3-5-2 formation. It was actually a play on how Swansea line up in that pesky alternate reality known as real life. It meant that Nathan Dyer, who has become nothing short of bae with some excellent performances since I took over in South Wales, had to settle for a place on the bench. The plan was to dispel with our usual swashbuckling counter-attacking style of play and adopt a possession-based system. Leicester are 20th in the league for a reason despite the presence of Riyad Mahrez and Jamie Vardy in the squad. The only downside for us was another injury to a full-back. This time Martin Olsson received a heavy challenge and had to come off, we ended the match with 10 men on the field. We now have 10 days until we visit Anfield, the Red Cauldron of Liverpool, and the chance to regroup. Previous articleWonderkids 2008: Where Are They Now?